In an unprecedented move, the Delhi High Court on March 16, 2018 (Court 10, Item 22, PIL 7003 of 2014), has asked the CBI for relevant records of the steps taken to investigate into the photo morphing of India's first education minister, Maulana Abul Kalam Azad, allegedly by Manipur governor Najma Heptulla, in a coffee table book, “Journey of A Legend: Maulana Abul Kalam Azad: 1888-1958”, authored by her. Bringing this to light, in an email alert to Counterview, the petitioner in the case, Firoz Bakht Ahmed, has said, Justice Rajiv Shakdher asked the CBI counsel to produce relevant records for court's perusal to show prima facie what steps were taken to inquire into the photo morphing case as he was not convinced by the “Self-Contained Note” to give a clean chit to Heptulla. The court was hearing the plea by Ahmed, grandnephew of Maulana Azad, seeking inquiry into the "morphing" of a photo of Maulana Azad and Najma Heptulla’s alleged role in it. Ahmed moved the court saying that the photo morphing was done at Heptulla's instance when she headed the Indian Council for Cultural Relations (ICCR) in 2005. Justice Shakdher also directed CBI to see the evidence given by Dr Madhup Mohta, an Indian Foreign Service (IFS) officer, who as an intervener had alleged that the photo was morphed and Heptulla was very much part of the process. The counsel for CBI earlier opposed the IFS officer's plea to implead him as party in the matter, saying, the officer himself was an accused in other two cases. Says Ahmed, the question still remains as to why no FIR was not lodged by ICCR when it was found that the photograph in the coffee table book, published by ICCR, was morphed. According to Ahmed's counsel, Govind Jee, CBI was defending Heptulla as she happened to be politically well connected. During the hearing, CBI told the court that the allegation of photo morphing was inquired into at a preliminary level. However, after the probe, CBI was of the view that the allegation of photo morphing could not be substantiated as there was no sufficient incriminating admissible evidence for prosecution. Govind Jee, on the other hand, argued that from the evidences apparent on record it was clear that photo morphing did happen, but CBI has till has date failed to ascertain who was responsible for this. The controversial photograph showed young Heptulla with the Maulana. The caption read, “Najma Heptulla with Maulana Azad after her graduation”. 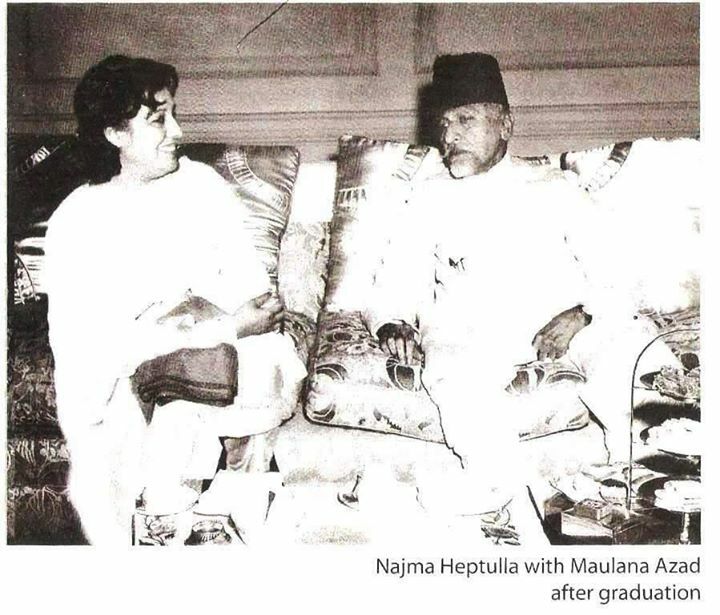 According to Ahmed, "Official inquiries later revealed that Heptulla had graduated in May 1958, whereas the Maulana passed away on February 22, 1958." As it caused considerable embarrassment, Ahmed says, the book was "withdrawn and banned" and a revised version got published where the morphed picture was replaced by a portrait of Maulana Azad. 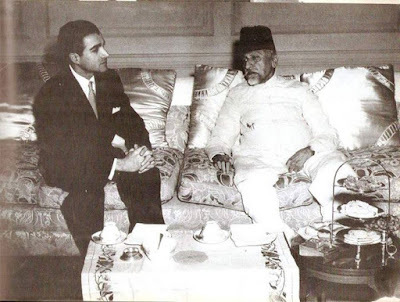 The original photograph of 1953 showed Reza Shah Pehalvi, the Shah of Iran, sitting with Maulana Azad, but Heptulla "pasted her own picture with the help of computer experts." Interestingly, the book was scheduled for joint release by Manmohan Singh, then Prime Minister, and Parvez Mushrraf, as Pakistan chief executive at the Indo-Pak diplomacy one-day cricket match, at Firoz Shah Kotla on April 17, 2005. "However, as Mohta, who was then Publications Officer of ICCR, discovered that Heptulla's photograph was morphed, the book release was cancelled", says Ahmed. A former Congress leader, Heptulla, who had strained relations with Congress president Sonia Gandhi, joined BJP in June 2004. She was minorities affairs minister under Prime Minister Narendra Modi between 2014 and 2016, after which she was shifted as Manipur governor.